Felix is an Anthro Pikachu, born and raised in Australia. Growing up in the less populated parts of the country, he's quite experienced in survival and other techniques. Most of his time is spent being a guide through less traveled lands throughout the world, making sure anyone who wishes to trek along the wilds makes it to their destination, a occupation that earns him quite the amount of money. When not earning some cash, he can be found in bars or other open places (though he prefers to avoid crowded spots when possible). 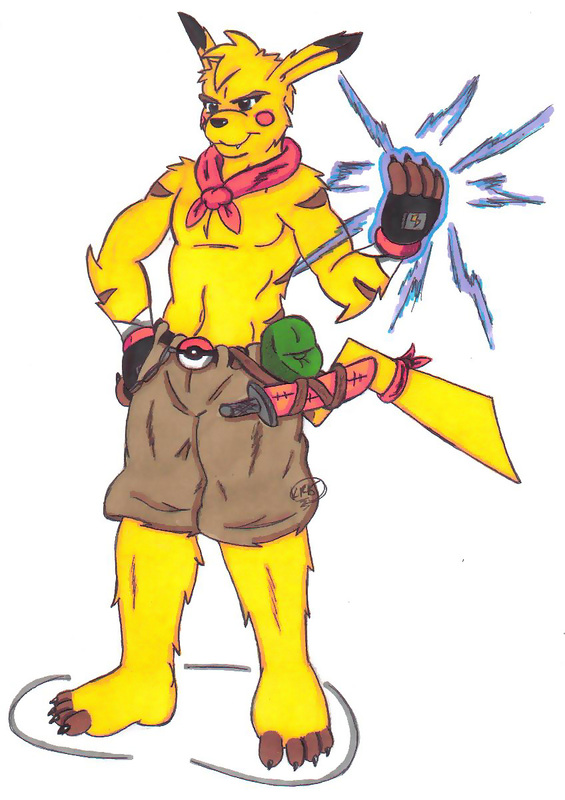 Being a Pikachu, he has full control over his electrical and other powers, using them whenever the need arises. Felix is also well trained in hand-to-hand combat, being quite a threat with his knife. He's easily approachable and friendly to those who treat him well, but may look like a 'lone wolf' when no one's around.